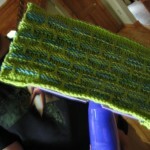 The Knitting Pirate » In Which the Pirate Gets Instaknit Gratification. « In Which the Pirate Cheats on Her Diet. In Which the Pirate Gets Instaknit Gratification. 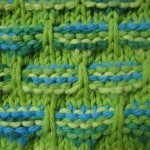 I did add an extra half-repeat to the pattern, and for the next one I'll add a full repeat as well as making it slightly longer. 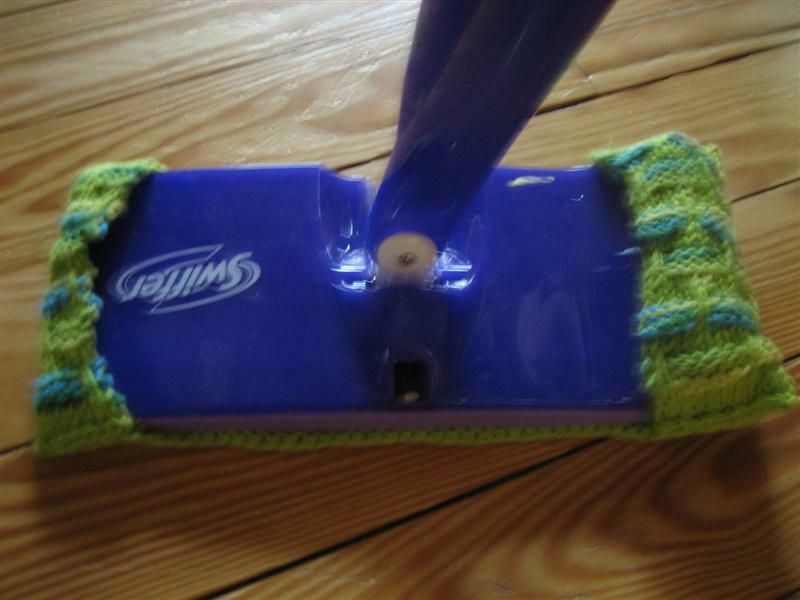 Maybe my Swiffer's a little bigger or my gauge slightly smaller, but I'd like the side pockets to be a little deeper. Pirate-Husband tried it out and it seems to stay on just fine, so maybe there's nothing to worry about. You can see in this picture how, er, 'rustic' our wooden floors are. There are big gaps between some of the boards which just tore the disposable pads apart. I'm hoping the cotton stands up to them for at least five moppings. I think they pay for themselves at two moppings, so five would be spectacular. I bet they last even longer than that! I love the idea of reusable where disposable once reigned. 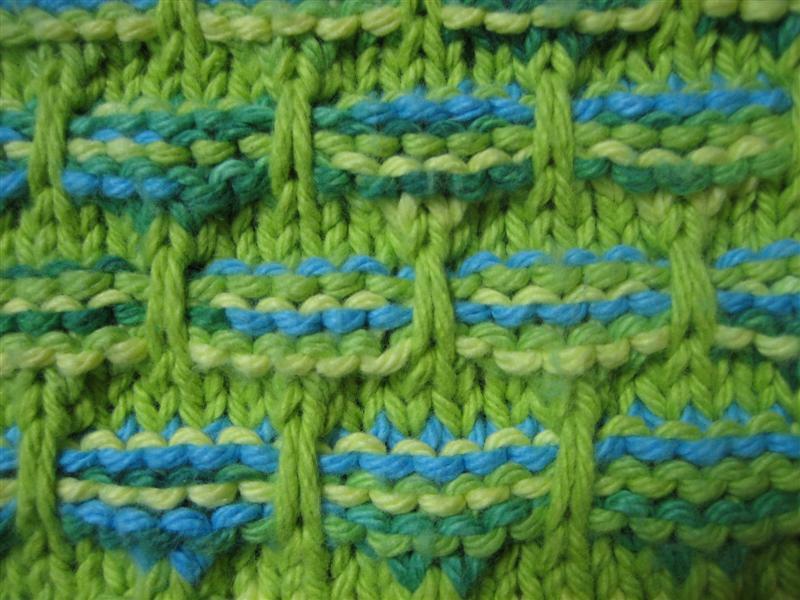 There's enough yarn to make another Swiffer cover, and I'm already envisioning cotton soap sacks and washcloths (in less obscenely bright colors). I love handmade soap but it does tend to melt away quickly, and a soap sack should help it last longer. Or they'd make wonderful gifts, wouldn't they? 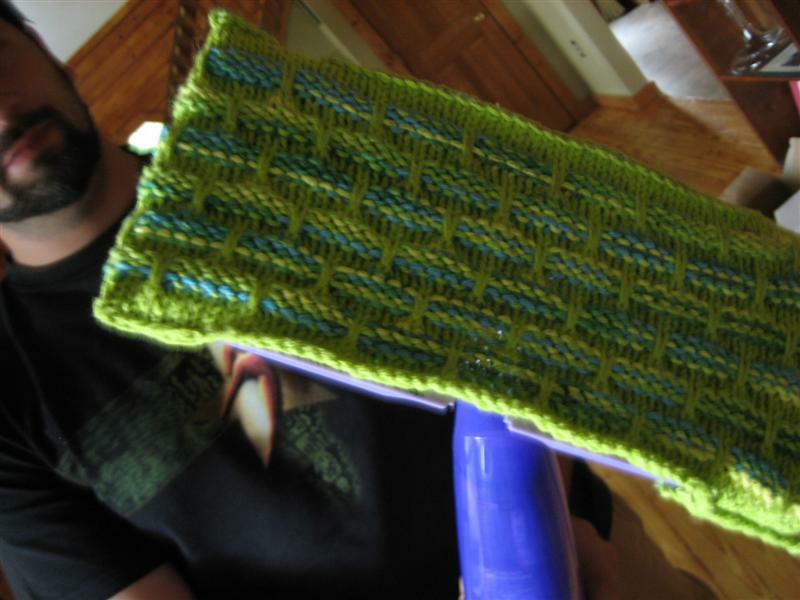 I'm not sure who on my gift list would really appreciate a handknit lace washcloth and soap sack. Most of the people with whom I exchange presents aren't into handmade stuff, so it's wasted on them. How sad. 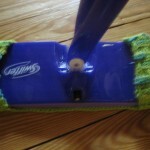 This entry was posted on Saturday, July 12th, 2008 at 19:29 and is filed under swiffer cover. You can follow any responses to this entry through the RSS 2.0 feed. Both comments and pings are currently closed. How do you keep your handmade soaps? I find mine lasts for a month or more.